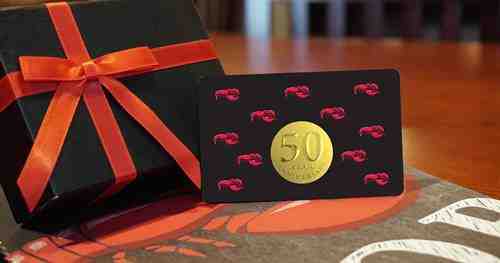 Red Lobster has completed its 50th Anniversary and as a Celebration, they are running Red Lobster Golden Card $10000 Giveaway. Total 50 winners will be selected and each will get $2000 Red Lobster Gift Card valid for 1 year as Prize. So Go Ahead and enter to get a chance to win 1 out of 50 Red Lobster $2000 Gift Card. Red Lobster is giving you a superb Chance to get Free $2000 Gift Card of Red Lobster. Total 50 winners will be chosen from All eligible Entries Received in the Sweepstakes. Red Lobster is the Famous American casual dining restaurant chain where you can eat your Favourite Food with your Family or your Love One. Steps to enter this Giveaway is very easy, Just Goto Giveaway Page and Comment with a photo of your most memorable Red Lobster experience with Tag #RLGoldenSweepstakes for the chance to win 1 out of 50 Red Lobster Gift Card. 50 winners will be picked on or before 8th February 2018.